Wireshark is a popular network protocol analyzer. It lets you capture and interactively browse the traffic running on a computer network. It's the de facto (and often de jure) standard across many industries and educational institutions. It's a cross-platform tool, using the Qt widget toolkit in current releases to implement its user interface, and using pcap to capture packets. It is developed and maintained by a global team of protocol experts, and it is an example of a disruptive technology. Wireshark allows the user to put the network interfaces that support promiscuous mode into that mode, in order to see all traffic visible on that interface, not just traffic addressed to one of the interface’s configured addresses and broadcast / multicast traffic. Wireshark used to be known as Ethereal. If you're still using Ethereal, it is strongly recommended that you upgrade to Wireshark as Ethereal is unsupported and has known security vulnerabilities. You can use Wireshark for both personal and commercial use without paying any fee. 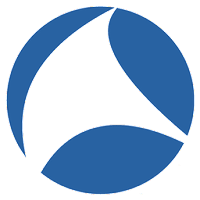 Disclaimer: Direct downloads for the lastest version of Wireshark 2.4.1 are provided by the official software's author, we can't guarantee safety, availability or download speed. Moreover, we don't and we won't provide any pirated/illegal versions or tools. We recommend you to avoid it as these methods can harm your device. If you like the software, buy it to support the developers. (We provide software discounts for many worldwide brands).